Moving into a new office can be an exciting part of your company’s journey toward expansion and growth. A new serviced office space means a different environment to perk up employees who may be looking for more modern or upgraded working conditions. On the other hand, moving office can be stressful. There are just too many things you have to think about and plan for. Office relocation could also cause separation anxiety among employees who are already too comfortable with or accustomed to the old office. That’s why it’s critical to make the office move as smoothly as possible. 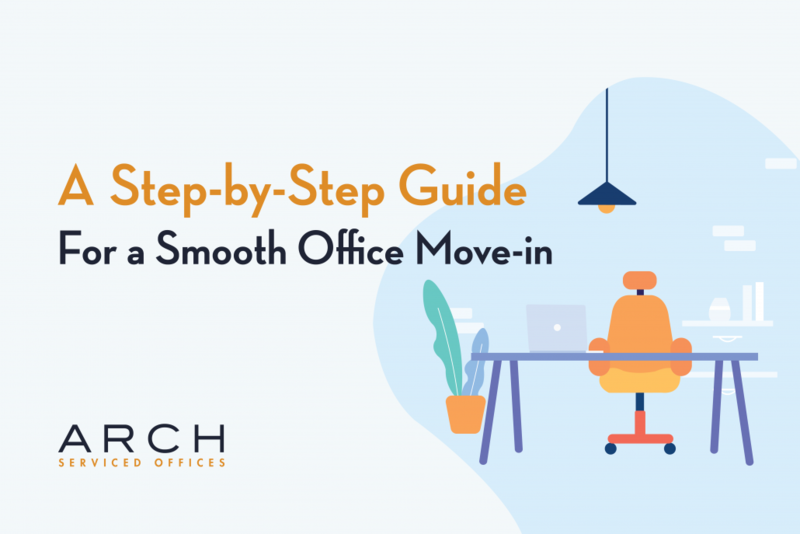 As an employer, it’s your responsibility to plan meticulously and ensure that you and your team can transition to the new office seamlessly. This step-by-step guide gives you helpful pointers to ensure a hassle-free move-in whether you have a small team or a big team. Once you’ve decided that your company needs new premises, there are three primary considerations that you should focus on so you can efficiently find the right serviced office providers. Moving to a new office is a huge project and can, therefore, be very costly. That’s why it’s essential to work on your budget once you’re sure about your company’s plan to move to a new site. It helps you identify, assess, and calculate all the major and minor expenses that the relocation project will incur. It ensures that your moving expenditures do not go beyond what you can afford. It prevents your expenses from ballooning since you have correctly accounted for possible delays, issues, or oversights concerning your office move project. Occupancy costs on new office property, including deposit, rent, taxes, maintenance, etc. It’s also advisable to allot 20% of your funds to contingency and other unexpected expenses. Your budget should also account for potential costs on your business while the office is out of operation during the move. You can also arrange remote working or work-from-home options for your employees to avoid business closure during the transition period. You might think that you already found the perfect office. But if the location is not ideal for everyone, you should probably look for more options. It’s accessible to your customers, business partners, and employees via public or private transportation. It should have links to major roadways, so it’s relatively easy for anyone to get in and out of the area. The area shouldn’t be prone to flooding. There are local amenities nearby, such as restaurants, banks, shops, parks, and pharmacies. As an entrepreneur or business professional, you know that location is a critical factor in the success of any organization. 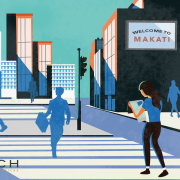 At Arch Serviced Offices, we recognize how having an office space in Makati can do wonders for your business. Office building condition. The newer the building, the better. If it’s an old building, it should pass the structural integrity test and be free of any issues in design and structure. Tip: Ask the building administrator if there are any planned upgrades to the building that may later be added to your occupancy fees. Security. There should be a 24/7 security team and closed-circuit television (CCTV) cameras surrounding the premises and stationed on every floor inside the building. Fire plan. Make sure the building has designated fire exits and other fire safety measures in place. Lifts. Check if there’s an adequate number of elevators and if they’re all working efficiently. Adjacent areas. As much as possible, you have to know who the other tenants in the building are. They should be operating as legal business entities. It’s also your responsibility to survey the areas surrounding your future office to make sure there are no threats to anyone’s safety and security. Give notice to your current landlord. Measure your new office space and get its detailed floor plan. If your serviced office provider does offer fit-out services, find an office fit-out contractor that will help you conceptualize and design your new space. Make an inventory of all your equipment, furniture, and office supplies. Look for a moving company. Order any new furniture needed for your new office. Ask for a guarantee that they will deliver on time – at least one week before the move. Place orders for new stationery and business cards. Create a detailed moving plan and have it distributed to employees and staff. Determine the arrangement of the computer and phone systems with the help of your IT department. Organize a staff meeting to discuss your moving plan. Create a moving committee who will oversee what each department needs – from packing tapes to moving boxes and color-coded stickers. Determine the standard operating procedures (SOPs) for the transfer, including which equipment is moved first, which department will stay at the old office while the move is taking place, or which staff members will proceed to the new site to monitor the move-in. Update arrangements with your suppliers regarding future deliveries from the old office to the new one. Use this time to have the computer and phone lines set up while the office is still unoccupied. Arrange for temporary storage of furniture and IT equipment in an external facility in case of any delay. Contact companies that rent out crates to hold large boxes of files and equipment. The moving committee and the employees coordinate in sorting, labeling, and packing the office computers, laptops, hard drives, keyboards, extension cords, and the like. Remind your employees to dispose of broken and unnecessary items properly. Double check if all furniture has been delivered and is ready for setup in the new office. Get your IT service provider set up the servers, cables, and wirings. Contact your cleaners and have them do a final clean of your old office before you finally leave it. Make a thorough inspection of your new office space together with your contractor. Test all the telephone lines, computers, lights, and other office facilities to ensure that everything is working well. Maximize your office space, especially if you are anticipating growth for your company in the near future. Just don’t make it too restrictive for staff movement either. Consider hiring a professional service planner to help you strike the balance you need in space planning. Your servers, computers, printers, projectors, telephones, and other equipment for work collaboration and connectivity should be in your layout guide. Decide with your contractor where power outlets and light switches should be located. Know what office furniture you already have. Identify which pieces you are discarding, refurbishing, or replacing entirely. Check the type of fit-out service that your new office needs, such as walls, partitions, or shelves. Discuss with your fit-out company the size and location of these facilities — reception area, staff workstations, conference rooms, break rooms, pantry, and comfort rooms. Launch a move awareness campaign within your organization. Use it as an opportunity to share with staff the reason for the move as well as future plans of the company. Provide employees with an info kit about the new office facilities and amenities. Then, organize a staff tour before the move-in. Create a master list of customers, vendors, and suppliers who should receive communication about your change of address. Recipients should include your bank, accounting firm, insurance company, internet provider, and so on. Assure customers that it will be “business as usual” and outline the positive sides of the move. Request the postal service to forward all mail to your new office. Moving to a new office will require you to apply for a business permit, service agreement with the property owner, insurance, equipment lease, and other licenses. You could also take advantage of this time to find new partners for expiring service contracts so that you can get better rates and pricing packages. Hold a briefing with your employees and the moving team to give additional instructions about the transfer, such as distributing entry permits to the new building. You should have a skeletal workforce who will make sure that there is continuity of operations on that day, especially when it comes to processing or shipping orders for customers. Make sure they have access to relevant data and files that have been set up over an extranet. Provide snacks and refreshments to all moving representatives. Give each one of them a copy of significant contact numbers. Ask everyone to keep their communication lines open. Send an advance party who will be in charge of bringing items from the moving truck into the new office. Arrange to have the air-conditioner turned on upon their arrival at the site. It might take a few days or weeks for everyone to get settled in the new office. However, there are ways to make the post-move transition as smooth as possible. Distribute a list of new telephone numbers, extension numbers, and department locations to all employees. Hand out new key fobs and access cards, too. Check the building premises and facilities to see if there are issues that need to be addressed. Request your employees to report their own observations, too. Ask the teams if their equipment is working and if they need additional supplies for their new workstation. Stock your office pantry with free snacks and drinks while staff members are still unfamiliar with where to shop for their meals. Plan an office warming party to welcome employees to their new environment and thank them for contributing to a smooth office move-in. Moving your office to a new location is never easy. You’ll need excellent project management skills to make sure that all details go as smoothly as planned. Good news is, you could have fewer worries when you rent an Arch serviced office for your new space. All Arch offices have a plug-and-play feature so you can move in quickly. Arch’s office solutions include fully furnished office space, pre-installed internet system that’s fast and secure, and 24/7 security access for your office and employees, among other innovative office ideas. You can save a lot of time and money on renting an office space in Makati with Arch. More importantly, your employees will feel more motivated to work in a newer and better office setup.